A multi-purpose sports facility, located some 16 miles to the east of San José, the capital of the Central American country of Costa Rica, the Polideportivo de Cartago was the home for a recent Referees Course. Organised under the auspices of ITTF High Performance and Development, the initiative was staged on Saturday 20th and Sunday 21st October; the expert on duty was the host nation’s Silvia Garro. Overall, 11 students attended, seven men and four women. Two members, one man and one woman, being from foreign shores; Roxana Carranza travelled from El Salvador, Ruben Oviedo from Honduras. 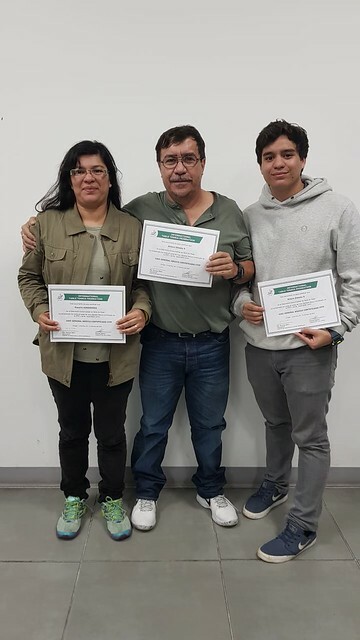 Most impressively ten members achieved the required marks to pass the course; two gaining 100 per cent in the examination, Andrea Arguedas and Arturo Silesky Soto. A successful response for what proved a very intense course; each day it was start at 9.00 am and finish at 7.00 pm. Overall the response was most positive, the universal comment being that all the participants would have preferred and extra day to learn about problems that may arise at a tournament and how they can be solved. The participants were: Richard Jimenez, Alejandro Castro, Andrea Arguedas, Rosario Hernandez, Arturo Silesky Soto, Arturo Silesky Hernandez, Ruben Oviedo, Roxana Carranza, Maria José Avalos, Alejandro Morales and Dhruva Martinez.